Personal Articles Floater | Special Feature | Long-Term Care - Crump | Webinars | TRIVIA! ARMR.Network, LLC specializes in environmental risks and insurance for a restoration contractor, condominium association, real estate investment trust, contractors, or a fuel storage tank owner. Did your Van Gogh Go? 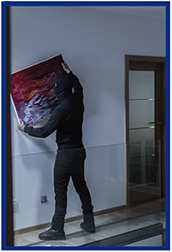 The FBI maintains a National Stolen Art File from which they highlight successfully recoveries by their Art Crime Team ($165 million since 2004). This database includes items stolen from museums and individual collections. You never know why some art is stolen, especially the more famous pieces. No one is going to be able to walk into an auction house with a stolen Mona Lisa under their arm. In March of 1990, thirteen pieces estimated to be collectively worth $500 million were stolen from a Boston museum. Among the stolen art is The Concert by Vermeer and Rembrandt's only known seascape, The Storm on the Sea of Galilee. There is a $10 million reward for the recovery of the art and the museum still displays empty frames where they hung. So where are they, since they can clearly never be sold on the open market? Someone who would organize a theft of this level must have wanted them for themselves or were hired by someone who did. A West Virginia man just pleaded guilty to attempting to sell the pieces for $5 million, but he was attempting to defraud foreign buyers and doesn't appear to have any knowledge of their actual location. Lesser known pieces can also be stolen and sold with a few pieces finding their way back, sometimes decades later. Most do not, but what can you do with a nine-foot long aluminum Staff of Asclepius that was obviously not stolen for scrap metal? InsurBanc's executive vice president and chief lending officer Robert Pettinicchi was recently interviewed for an article in Insurance Business America. 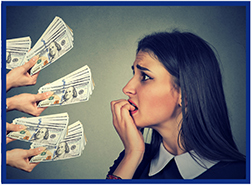 In the article, "Why selling your agency might be the worst financial mistake you can make," he discusses what happens when agency owners come to a crossroads in their career. Should they sell their agency? He discusses the many options available to agency owners and why it might be beneficial to not sell right away. "If they are dead set on selling, getting out of the business and not doing anything else, and not having any more income, then sell because they can reap a large financial reward by selling their agency, and then you hope that what you got is going to sustain you for the rest of your life," said Robert Pettinicchi. Read more insights in the full article, which can be viewed here. The Big "I" partners with Crump to bring the expansive long-term care insurance market to members through the Crump LTC Solution Center. Crump is one of the largest brokerage agencies, offering some of the most comprehensive sales and medical underwriting support in the industry. Big "I" members who register with Crump gain access to more than 200 carriers, a state-of-the-art website, live personal assistance, and a vast array of educational tools and resources. Crump specializes in LTCi. With nearly two decades of LTCi experience, Crump can help you recommend a suitable plan for your clients at a competitive premium. Crump has full-time LTCi staff. Sales support associates provide illustrations, as well as product and competitive support. Licensing associates know what it takes to get you appointed and ready to sell. New business associates keep you informed of your case status and work to issue cases quickly. Crump connects you with quality LTCi carriers. Carriers include LifeSecure, Lincoln Financial, Mutual of Omaha National Guardian Life, OneAmerica, Securian and Transamerica. Crump is nationwide. Crump has LTCi specialists to support you across the country. Crump knows how to underwrite. Crump's familiarity with health underwriting gives you added experience to help match your client's individual health issues with a suitable carrier. Crump has the right marketing tools. Policy comparisons and training tools are a must for day-to-day agent use. Working with carriers, Crump provides the tools you need to successfully market LTCi. For more information, contact Christine Muñoz at christine.munoz@iiaba.net. Ready to get started? Visit www.iiaba.net and click on "Products" to find Crump. 1. In 1911 Vincenzo Peruggia stole the real Mona Lisa from the Louvre but was arrested two years later after contacting an Italian art dealer. He claims he didn't do it for money, so what was his given motivation? 2. On May 11th the Troy Police Department in Michigan swore in an unusual new officer. What is her name? 3. 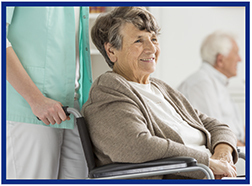 True or False: Disability insurance and long term care (LTC) insurance cover the same things. TB - On this date in 1040, Lady Godiva is reported to have ridden naked through the English city of Coventry in protest of something her husband had done. What was she protesting? Congratulations to our agent in Florida on a Eagle Express sale of $6,900 in premium!